Explore Giggly Park with Boj and friends. 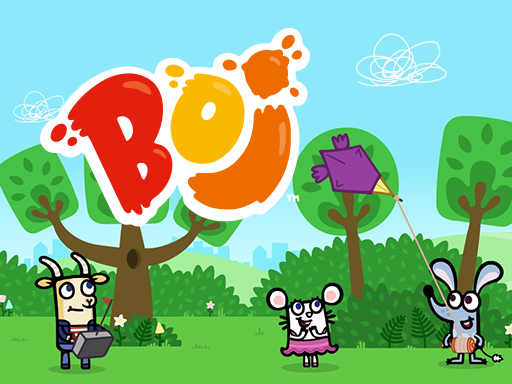 Boj is an award winning kids television series worldwide. Do wonderful things such as ride a bike, climb the tree, fly a kite, dig underground for treasures, ride the swing, control a helicopter remotely and more. Interact with various characters from the Boj universe, such as Mimi, Pops, Mr Cloppity, Denzil, Mia Twitch and more. This is a new and innovative gameplay to encourage users to explore their curiosity.